Kristy Schryver, APRN, was raised in Naples, Florida, where she began her career as a Licensed Practical Nurse. 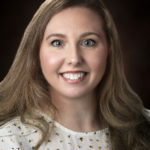 After moving to the panhandle in 2010, she graduated from Lurleen B. Wallace Community College with her Asscoiates Degree of Nursing in 2014. Her Bachelors of Science and Masters of Science in Nursing were both completed at South University in 2015 and 2018, respectively. She is board certified as a family nurse practitioner by the American Association of Nurse Practitioners.